Facebook is one of the most powerful and result-driven online marketing & advertising platforms. Businesses can use it to generate good revenues by posting relevant, engaging, entertaining and conversion-oriented content. However, when you share your post at the right time, it helps your business use the right potential of Facebook. – But for this, you need to know when the best time of day to post on Facebook is. Are you a little befuddled now? -No, our aim here was not to get you wired! We will explain in this article in a step-by-step manner on how to get the attention of your audience by posting at the most right times. If generally said then the best time of day to post on Facebook is when your prospects are present and ready to see your content on Fb. Some result-driven techniques can guide you in the process. First thing first, is there really the best time of day to post on Facebook? – Frankly speaking, there is not any fixed time, but it varies and depends on so many factors. Various social media researchers have tried to find out this and each of them has come up with a unique result. 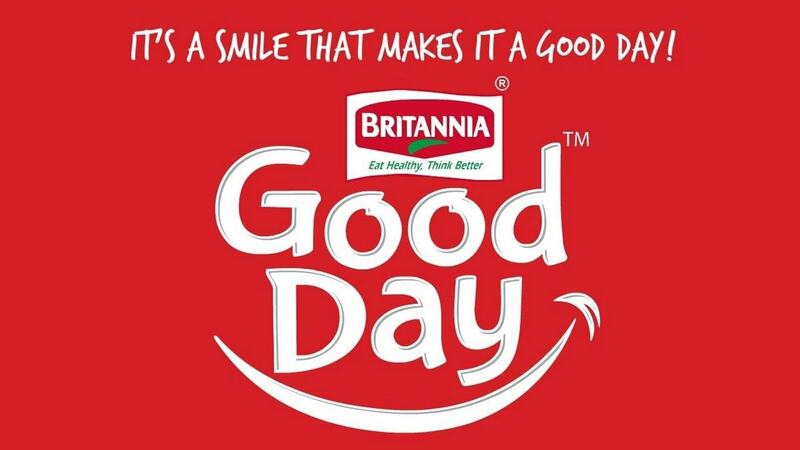 In reality, the best time always differs on the basis of your industry, location, audience etc. When it comes to figuring out the best time for you, it’s advisable to stick to your own data and stats. Fortunately, Facebook gives enough data for page owners through which you can understand your audience, analyze which posts are doing well and know when all this is happening. A complete understanding of these aspects will provide you the answer. Relevancy of your post plays one of the most significant roles in deciding the best time of day to post on Facebook. Some posts are going to be more effective when they are relevant to that moment. For example, you can post the content related to your new product just after the announcement of its launch. Or, different Sports Team Pages share posts about the live scores on their pages as breaking news. Relevancy of such posts let the Facebook pages score high in front of their target audiences. 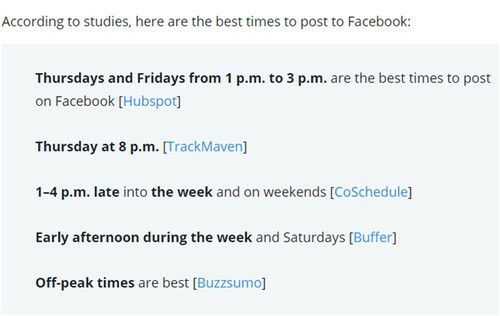 You can use different tools for finding the best time of day to post on Facebook and one of the most powerful tools that will serve this purpose is Facebook Insights. 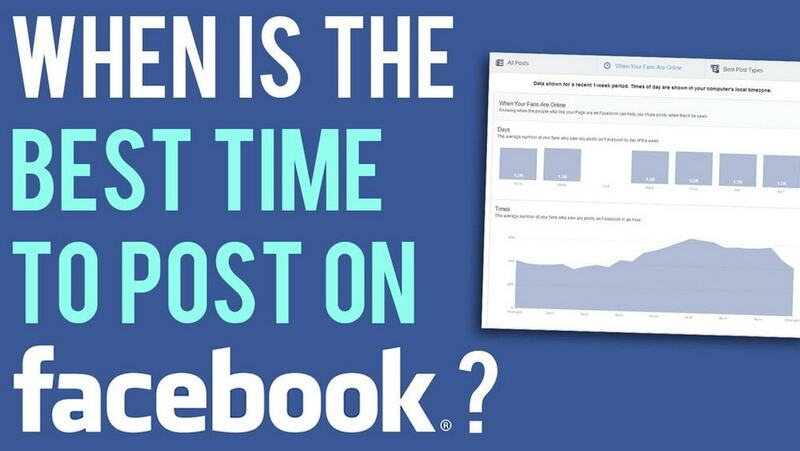 Your Facebook Insight Dashboard hosts some valuable data regarding the best time to post. When you go to the Insight, you will find numerous areas, which give you many stats on all your posts. This will guide you in deciding the inclinations of your followers and prospects. Accordingly, you can run your Facebook Marketing and Advertising Campaign to convert a number of prospects. 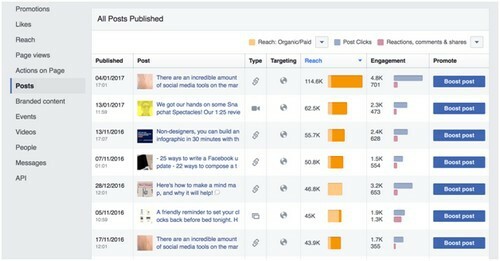 Go in the Insight Dashboard of your Facebook Page and then from the left-hand side, you need to select Posts. Selection of this option will give detailed information about the days and times when your fans are most active. 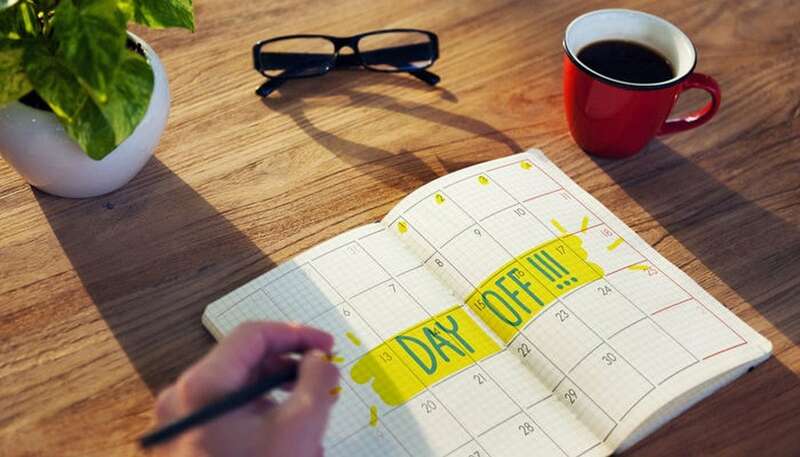 Further, you can also choose to view the data of a particular day. By looking at the graphs and stats, you can easily identify the time at which you should publish your posts. After getting the best time-say 3-5 pm, you can also choose to adopt some variation in the timings to share the posts. In the Facebook’s Insight page under the same subsection Post, you will find the option ‘All Posts Published’. Here you will find the figures for the reach and engagements of each post. Turn your eyes to the published column, this will tell you the date and time of each published post. What you should be looking for here is if any trend exists regarding some time during the day or a particular day of the week, when your posts receive most engagement. Note that there would no clear interpretation for posts, which have been boosted or sponsored. These posts usually reach a wider audience, so do not have any right timing for them. When you have finally identified the best time, it is now time to check whether they actually work for you or not. 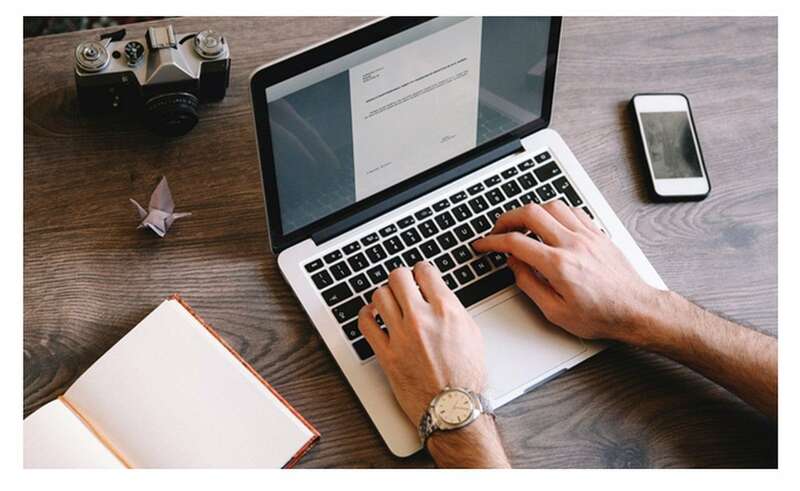 For this, you can schedule your publishing of post through a scheduling tool at the identified best time. Use of a scheduling tool is considered highly effective in finding the best time of day to post on Facebook. One such tool that is highly popular is Buffer. You can use Buffer for scheduling your posts. For this, come to the buffer dashboard and click on ‘Connect More’ if you use the free plan or else click ‘Add a Social Account ‘option if you have the paid plan. After that click on the Facebook page or group option. 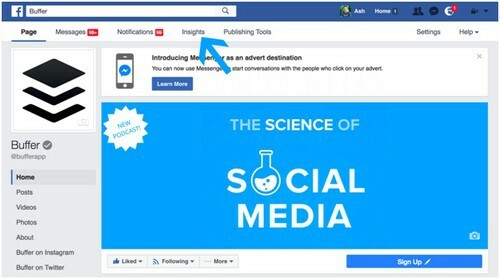 After connecting your Facebook page with Buffer, it is now time to set the best time of day to post on Facebook. 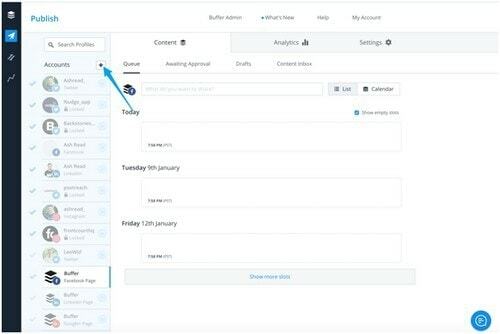 With Buffer, you can schedule the postings and buffer will automatically publish them on the set time. 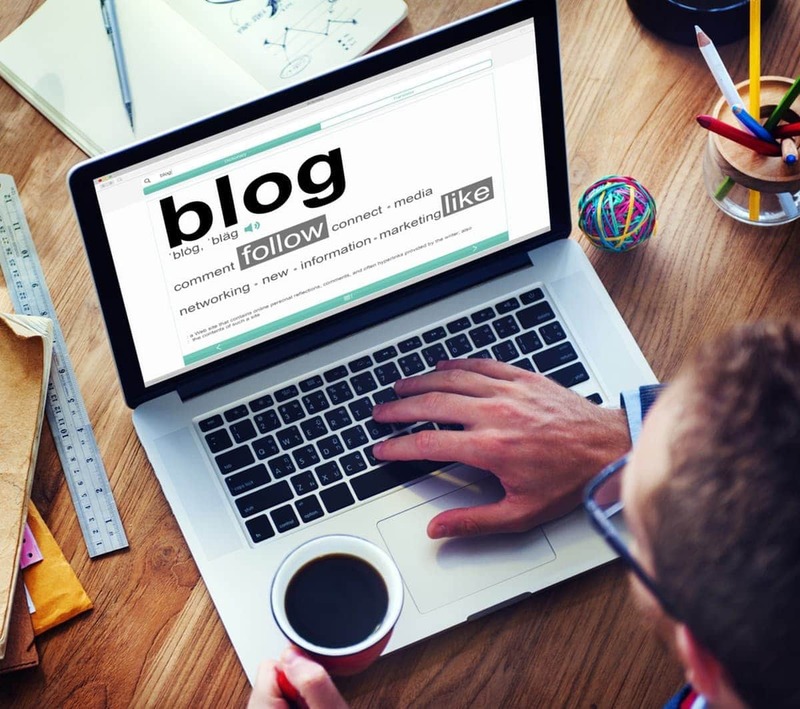 You can choose to post the content through Buffer, every day, a particular day or many days at specific times. After you have set the timings, the buffer will automatically publish them according to the next specified time slots. While concluding the article, we would like to say that not just the best time of day to post on Facebook, but you should also focus on great content, because quality content is a sure way to get more followers. Understanding specific inclinations of your audiences, creating posts according to the insights and then posting them at the most right time will always ensure effective branding of your Facebook posts. Want to know how you can find the best time of day to post on the Facebook page of your business? –Share your details with us, and we will guide you in the process. 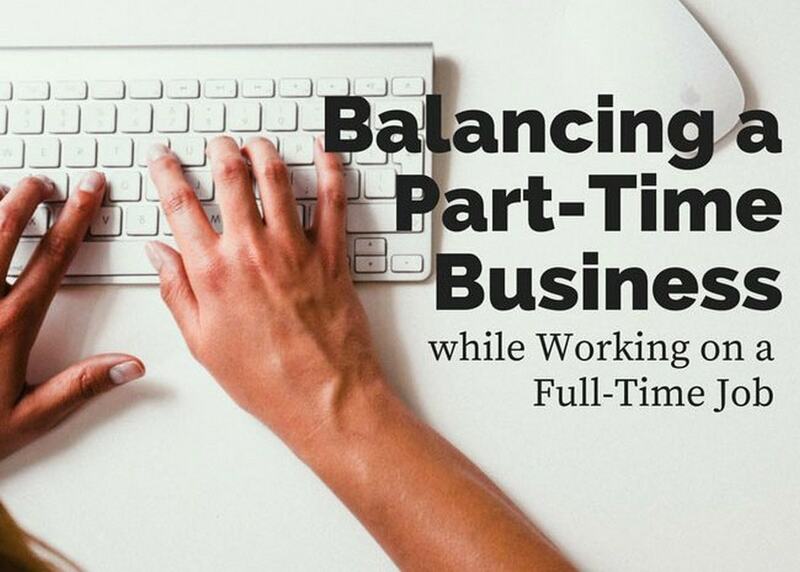 How to balance part time business and full time job? Is Full Time Blogging Possible? 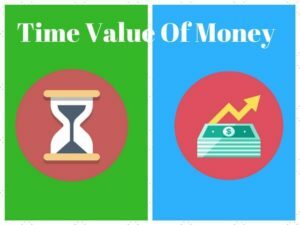 How to become a Full Time Blogger?